Designing sustainable and resilient buildings is a complex process involving multiple actors and numerous, often conflicting, criteria to describe the social, environmental, and economic consequences of design decisions. Multi-Criteria Decision Making (MCDM) is a well-established branch of systematic decision science that may be used to narrow the choice set and balance decision criteria and objectives. MCDM methods rely on eliciting decision makers’ (DM) criteria preferences through surveys—a critical, but often time-consuming and expensive process. 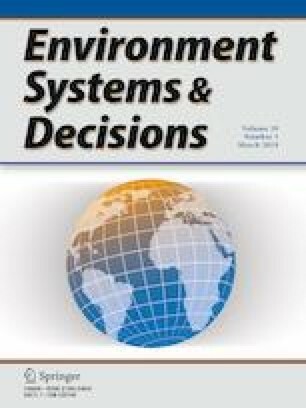 This study compares two survey methods—Simple Multi-Attribute Rating Technique and Potentially All Pairwise RanKings of all possible Alternatives—used to capture DM’s preferences for subjective criteria relevant to the design of resilient and sustainable buildings. Significant differences were found between the results of the two methods, indicating that building design criteria are evaluated differently in different contexts. However, most DMs reported that both surveys accurately captured their preferences, complicating conclusions about DM’s actual preferences through single surveys. The design professionals surveyed also report lower cognitive load for the direct weighting method. Although this study does not report a preferred survey method, the findings suggest that great care must be taken when eliciting DM preferences, and when attempting to apply MCDM to building design decisions. This research is based on work supported by the National Science Foundation grant number CMMI #1455450. The authors wish to thank Dr. Mehrdad Sasani, Dr. Matthew Eckelman, Matthew Joyner, Robert Phillips, and Luke Troup for their iterative and constructive feedback.